The 60’s dominates The Style Crone’s outfit with a gifted burgundy hat, vintage shop grey/burgundy cardigan, and estate sale navy jacket. The outfit is completed with estate sale vintage grey gloves and a NYC street vendor faux fur stole. Navy turtle neck, pants and boots are contemporary pieces which provide the foundation for this vintage display. For years I’ve enjoyed combining clothing from decades past with modern garments. Connecting the past with the present is like putting together a puzzle, and finding the right components is my daily meditation. This puzzle is one that The SC can solve, unlike the enigma that is Nelson’s disease. I love seeing your stylish outfits everyday. I have just one request though. Could we also have some closeup photos to go with the full length shots. I always want to see more details. You know, your style is such that I would hesitate to put an era to it. I think it is simply good style. Still praying for Nelson. Lovetoyouboth. You have exquisite, elegant taste! It is so refreshing to see someone put together an ensemble without the current flavor of the week. I’m sure Nelson is so proud to be seen with his lovely wife. Hope this is a good day for him. Judith…your are faboulous!! I just love this look…but so far I have just loved all of your looks…you belong in the pages of a top quality magazine. I am certain it must lift Nelson’s spirits every day to have such a gorgeous wife!! Some day…I hope to go out vintage shopping with a list of ideas that you have given to me. You are off the charts! Agree with Robin that closeups would be fantastic, if you have the time and energy. Your daily photos warrant closer looks, in order to savor the details. Another great ensemble today–I’m always up for celebrating the ’60s! I hope you and Nelson are enjoying an appointment-free afternoon. 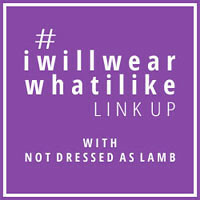 I’ve just discovered your amazing blog-you always look so fabulous and you are an inspiration to older women! Can I be cheeky and ask how tall you are? From the photos you look very dainty and petite-am I right?? What are estate sales and yard sales please? I wonder if the nearest equivalent here in England is the car boot sale! Note to Hilary: Yes, a yard sale is a boot sale, although held in a front garden (usually). Also known as garage sales, because– guess what?– it’s in a garage. You can pick up some of the most fabulous things in places you would never expect! I got a fake fur cape for 50p but it was hidden under a pile of books. At least I think it’s fake, but it does look almost real. Do I wear such a thing? When the occassion calls for it! Sorry, this blog isn’t about shopping in England! Just love your outfits as always Judith. Hope Nelson is having more good days than bad.